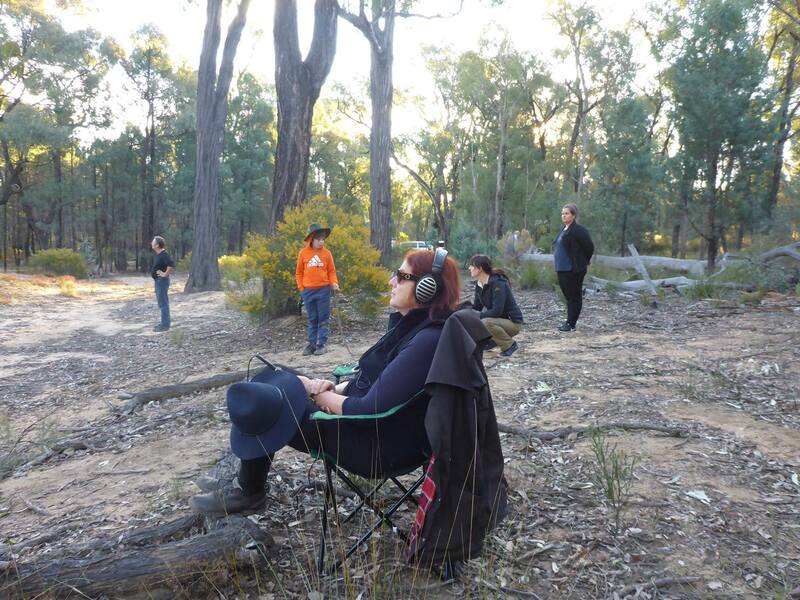 On one of the final evenings of our workshop, a group of us set out for Salt Caves Dam, to witness and record the Glossy Black Cockatoos coming in to drink on sunset. We set up both terrestrial and hydrophone rigs, recording independently above and below the surface of the dam. The hydrophones were filled with sound immediately, a rich symphony of aquatic insects fizzing away. However we had to wait quietly as the late afternoon ebbed before the glossy blacks came in. They timed their arrival just as the breeze stilled. 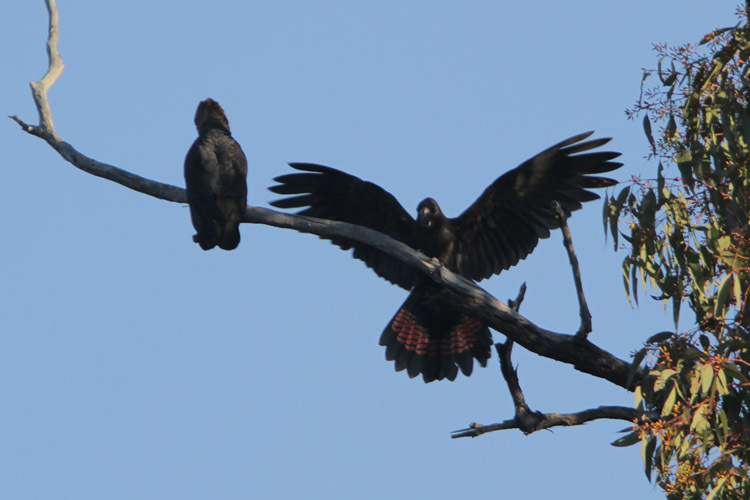 A pair arrived first, and watched us unconcerned from a high vantage. After a while others drifted in, around 15 birds eventually, perching and calling back and forth before finally dropping down to the dam edge to drink just on nightfall.